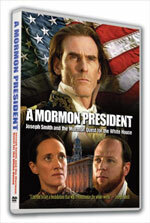 Is America Ready For A Mormon President?
" 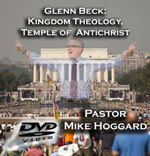 Mormonism's Temple of Doom + 2012 Election Alert"
"How Emergent Church Is Drawing Multitudes Away From Biblical Christianity"
Includes bonus 90-Minute DVD Inside! 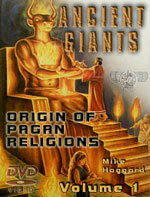 $9.99 DVD Value Priced Sale! 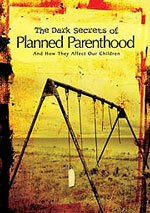 "The Dark Secrets of Planned Parenthood"
"Mythology and the Coming Great Deception"
1) Has God abandoned Israel? 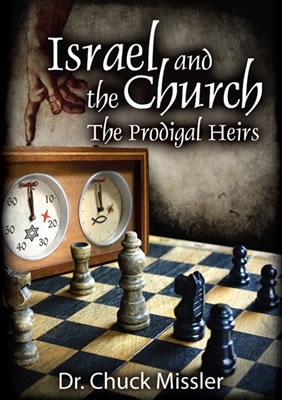 2) Has the Church 'replaced' Israel? 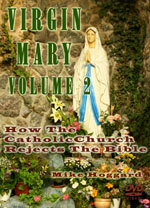 3)What does the Bible say? One of the most burning issues of our current age is whether the return of Israel back to her land in 1948 was fulfillment of God's ancient prophecies or was just an accident of history. What you believe has great ramification for your view of the world and God's role -- or lack of role - for present-day Israel. 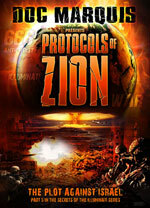 As we watch the world events, it is clear that Israel is following her prophetic scenario, and a new chapter is about to be writtenand there may be a big surprise on our near horizon! I. Israel is reinforcing her southern border with Egypt / Sinai with heavy tank armor! Now that the Muslim Brotherhood is radicalizing Egypt, Israel cannot take any chances. "Israel's deployment of tanks close to the border is in breach of the treaty, but it is understood that an informal agreement reached with Egypt last year has allowed both sides to step up their military presence close to the frontier." Why did Israel react swiftly to reinforce her southern border? 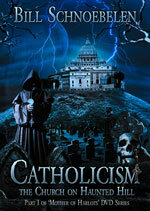 Islamic brotherhood assassins struck across the border with deadly force. "Israel deployed tanks along its frontier with Egypt yesterday after gunmen killed an Israeli construction worker in a cross-border ambush." At this moment, Israel is facing the fires of war on both this southern border with Egypt and with Syria on the north. 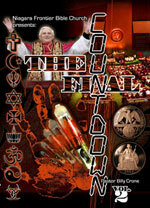 Will this be the war which triggers the World War III planned to bring Antichrist to the world scene? 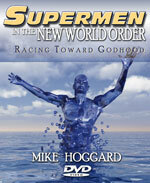 This scenario is not likely now, because the world has not yet reorganized into precisely 10 supernations yet -- read full prophetic details in NEWS2363, entitled, "There Is Only ONE Sequential Prophecy Which Shall Provide Us A Clear Gauge By Which We Can Know The Approximate Time That Antichrist Will Arise!" This historically unprecedented destruction of Syria's capital might be the result of all this turmoil in and around Israel! Damascus may be turned into a "heap of ruins"! II. Russia and China are carrying out "war games" in conjunction with Iran and Syria! This turn of events is surprising, but may be a clever maneuver to thwart a Western attack on Syria. "Over 90,000 troops from 4 countries due to participate in Middle East's largest ever war game ... The war games will feature Russian atomic submarines, according to Iranian media, as well as warships, aircraft carriers and mine-clearing destroyers." "Semi-official Iranian FARS news agency stated that the exercise was being planned in coordination with Egypt, which recently acceded to grant the passage of 12 Chinese warships through the Suez Canal. The report stated that the Chinese naval convoy is due to dock in Syrian harbors within the next two weeks." While this news article did not state on which land this war game was to be held, Iran would certainly be the logical location. These war games could complicate Western efforts to topple Syrian President Assad. Or, they could set the stage for a series of diplomatic deals which would usher Assad out of the country by those supposed Russian commandoes now sailing for Syrian waters. A show of strength just before a diplomatic deal is a time-honored tactic. III. Surprise, Surprise!! Bill Gates' efforts to stop malaria is actually making it worse. Just as the Protocols envisioned. "... since the 1970s or so, philanthropists have grown less inclined to see their organizations as laboratories for the advancement of the American welfare state; instead, they have increasingly sought to develop projects that compete with, or supplant, the efforts of government. " "... This approach is called by various names such as "social entrepreneurship', 'venture philanthropy', and 'philanthrocapitalism', but it all amounts to rather the same thing: controlling charitable giving in order to produce measurable, 'sustaining' and/or profitable results. 'Philanthrocapitalism' is an especially curious coinage, giving rise to a hitherto unarticulated contrast—namely, with the kind of capitalism that is not-philanthro-. Not devoted to loving our fellow-man." Herein lies the rub with the "philanthropy" of Bill Gates and his foundation. He is not providing funds to help the common folk who are suffering from malaria. No, Gates is vociferously on record supporting the Illuminati concept of drastically lowering the population. Therefore, every single one of his actions should be expected to accomplish this goal. All governments of the world are controlled by the 'population control' mentality which states that the primary purpose of government today is to 'increase the death rate' as a population control method! 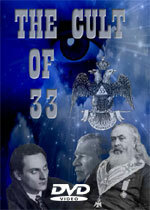 Listen to New Age author, Bill Cooper, reveal this unnerving reality. Since "increasing the death rate" in such a manner as to reduce civilian population to a state of "benevolent slavery and genocide" is the goal of governments worldwide, you can see why Gates' efforts to "eradicate Malaria" are really making it more deadly. "The Gates Foundation’s efforts against malaria, for example, may end up doing more harm than good. An apparent rebound of malaria in Senegal last year speaks ominously to former WHO malaria czar Arata Kochi’s warnings against the Gates Foundation’s monopoly on malaria research and policy back in 2008; the Senegal study, published last year in the Lancet, found not only an increase in insecticide-resistant mosquitoes, but also rebound infections in older children and adults. That troubling trend suggests that some Senegalese may have lost their acquired immunity in the years they’d been sleeping under pesticide-treated nets, which the Gates Foundation has been distributing by the millions in Africa." Bill Gates' efforts against Malaria are actually causing it to rebound, with far more devastating effects. Yet, Gates was warned years ago; he cannot plead ignorance. While Bill Gates is widely criticized for his "misguided" efforts against Malaria, he will win "many thanks" from the Global Elite, because he has pursued a directive from the Protocols of Zion to the letter. Bill Gates has launched a war against Malaria, but he has followed policies which are allowing it to rebound with far more devastating consequences. The Illuminati must be proud of the efforts of Bill Gates to "increase the death rate" in one of the areas of the world which the Elite contemptuously refer to as the "Non-Integrating Gap" region. Beware of any billionaire telling you how he is going to help you! IV. 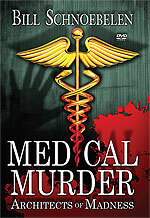 A top British doctor charges that a government program is killing 130,000 people annually! A program originally designed to aid and comfort terminally ill patients has been turned against them. "NHS doctors are prematurely ending the lives of thousands of elderly hospital patients because they are difficult to manage or to free up bed ... Professor Patrick Pullicino said doctors had turned the use of a controversial ‘death pathway’ into the equivalent of euthanasia of the elderly." This pattern of events is exactly how Adolf Hitler began his deadly adult euthanasia program, a cycle of killing lasting 7 years and murdering 20 million people who no longer had a "life worthy of life". Hitler's program in the beginning showed forth a very benign look, convincing untold numbers of his future victims that they were safe. This path is exactly what this British program has taken. The Liverpool Care Pathway was designed originally to enhance patient care for terminally ill patients, kind of like Hospice Care in America. But, some doctors have dramatically twisted the original intent. "The lack of evidence for initiating the Liverpool Care Pathway makes it an assisted death pathway rather than a care pathway. ‘Very likely many elderly patients who could live substantially longer are being killed by the LCP'." Now, notice the deadly wording which is precisely the terminology used by the Nazis to justify the killing of their victims. 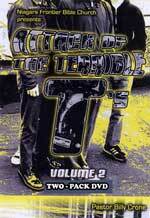 "This determination in the LCP leads to a self-fulfilling prophecy. The personal views of the physician or other medical team members of perceived quality of life or low likelihood of a good outcome are probably central in putting a patient on the LCP'." This wording brings us full-circle with the Nazi adult euthanasia program. 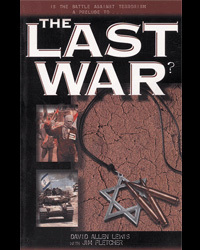 Cutting Edge began warning in 1992 that the New World Order is simply a revival of Nazism in all its forms and manifestations. In the view of the Nazi / New Age doctor, terminally ill patients need to be dispatched immediately, before they cost the State immense amount of money. Are American patients really this much at risk? 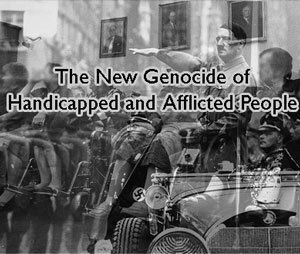 Listen to Dr. Wolf Wolfensberger, author of "The New Genocide of Handicapped and Afflicted People", Americans have been dying in this British model for about 20 years! 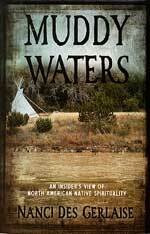 The major benefit of Dr. Wolfensberger's book is that he demonstrates how any society can reach the point of declaring certain types of people "unworthy", and then manipulate these people into genocide. Once Dr. Wolfensberger lays this foundation, he demonstrates how secret killing is occurring NOW, and he shows you how you can spot it in the news. 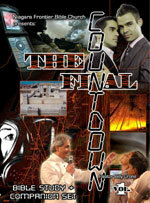 Finally, he shows you how you can protect yourself and your family now. V. When public rhetoric starts ratcheting upward, warning that the Constitution is almost ready to be destroyed, the foundation of the Mormon Plan For America is being systematically layed. Mormon prophecy states that, just when the Constitution is "hanging by a thread", a Mormon will win the Presidency and save the Constitution! Newt Gingrich is sounding that alarm right now. "If last Friday's dictatorial action by President Obama is allowed to stand, historians may someday look back on June 15, 2012 as the day the Constitution died." That statement is incredibly strong. What could President Obama possibly have done to warrant this kind of accusation? The primary purpose of the Constitution is that it limits the power of any one man -- like the President -- or any one institution, like the Congress or the President or the Supreme Court. Herein lies Gingrich's accusation against Obama. "The rule of law has been replaced by Obamarule." "In declaring that his administration will not deport those who came to this country illegally at a young age, President Obama has suspended the law for approximately 800,000 young people. In truth, no one knows how many people will be covered by Obamarule." I see. Newt's tirade against Obama is based upon his ruling on illegal immigration. While I agree that Obama's ruling paves the way for implementation of the North American Union -- Supernation #1 in the Club of Rome Plan -- I hardly think this one action destroys the Constitution. Newt is engaged in hyperbole at its highest form. Now notice Gingrich's last statement. "No president in our history has been as willing to destroy the Constitution as Obama. Under the shallowness and cynicism of our Washington establishment we are drifting toward a genuine Constitutional crisis." Doesn't Newt's statement sound a lot like the Mormon Prophecy for the United States? 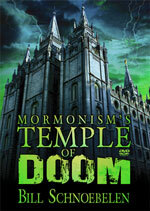 The Mormon prophecy is predicated upon an effort to destroy the Constitution of the United States of America. 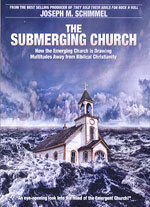 The Mormon prophecy predicts that a genuine Constitututional crisis shall rage. 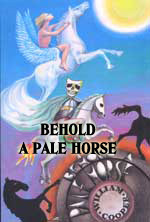 The Mormon prophecy foretells that, at the last possible moment, a Mormon shall ride forth on a metaphorical white horse to save America by saving the Constitution. Glenn Beck and others have been sounding this alarm for about a year now. Newt Gingrich now adds his warnings at the time when a Mormon has just won the Republican presidential nomination! The stage has been properly set. Is America ready for a Mormon President? The answer to that question is somber, for we have more to fear from an LDS President than anyone would ever believe! "Attack of the Terrible T's "
In the Killer C's we saw how the enemy of our souls, Satan, is not only real, but he really does seek to destroy our effectiveness for Jesus Christ. But here in 'The Attack of the Terrible T's' we see how his next deadly assault is a constant daily barrage of Temptations that are designed to destroy our testimony for Jesus Christ. 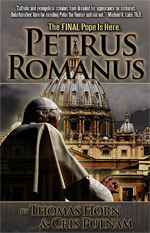 People of God, there's a spiritual war going on and its not just in the world, but its right here in our own country. 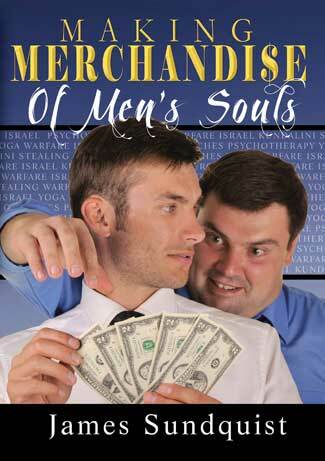 It's a cosmic battle for the souls of men and women all around us. The alarm has been sounded. We are under attack! 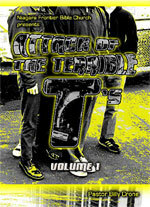 The Attack of the Terrible T's. Don't let the enemy get you! 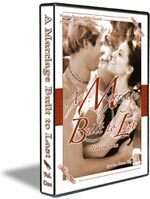 "Attack of the Killer C's"
"A Marriage Built To Last Volume 1"
"A Marriage Built To Last Volume 2 "
Many marriages today are under severe strain. And if we're honest with ourselves, most of us can easily identify with this reality in our own lives. contrary to popular belief, marriages aren't made in heaven, they?re made right here on earth. Remember, being married doesn't mean your life always has to be filled with personal pain and silent suffering. God never said that it would be easy. He just said it?s going to take some time and lots of work. And if we'll just get back to God's plan for marriage, then we're well on our way to having A Marriage Built to Last! 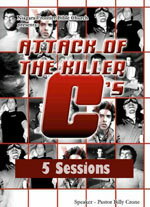 Click on each hotlink, above, to see the individual titles of each session on these two DVD sets. 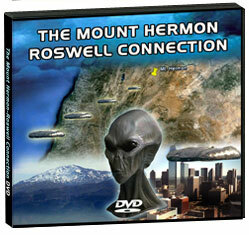 These DVD's have already saved marriages. Might they save yours? 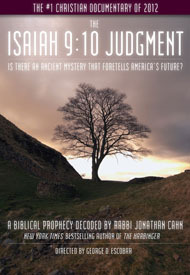 "Isaiah 9:10 Judgment: Is There An Ancient Mystery That Foretells America's Future Judgment?" 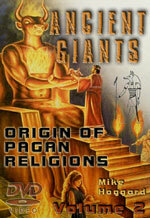 Is America under judgment for turning away from God as ancient Israel did? 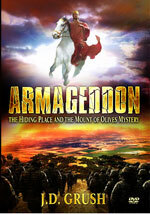 This DVD is based on shocking research by Cahn, who heads the Jerusalem Center-Beth Israel Congregation in Wayne, N.J. he suggests an otherwise obscure passage in the Book of Isaiah is since Sept. 11, 2001, being uncannily re-enacted in the U.S. just the way itoriginally played out in the time of the great prophet of Israel leading to the nation's captivity and dispersions. 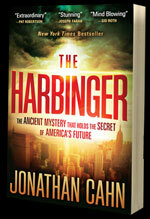 "The HARBINGER: Of America's Destruction"
Is it possible that one of God's ANCIENT MYSTERIES holds the key of America's FUTURE? 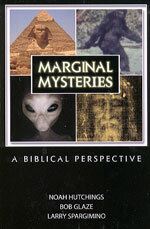 "COMBO DVD OFFER: Aliens, Fallen Angels or Antichrist"
You save over $10 by buying these two DVD's from Doc Marquis. 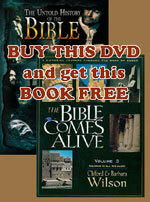 You are paying only $19.95 per DVD Set when you buy this combination offer. 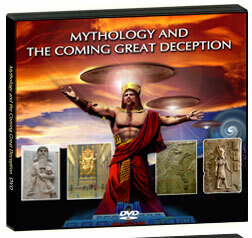 This combo offer contains 4 DVD's and 7 hours of teaching. 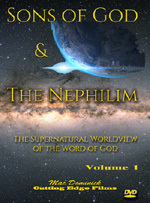 Doc Marquis demonstrates the horrific reality that Aliens, UFO's are really Satan's Fallen Angels and that, when the time comes, they will greatly aid Antichrist in his created of the New World Order. Occult signs and wonders, like crop circles, are simply and only 'signs of the times', warning mankind of their impending doom. "Are we REALLY faced with the choice of "Lesser of Two Evils"? How would Jesus have voted? Which Party Would He Have Considered The "Lesser of Two Evils"? 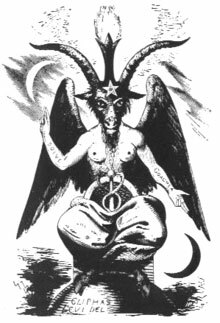 Pharisee or Sadducee; Democrat or Republican; Obama or Romney; Baphomet or Baal? We have attempted to prove to you that the Democrat Party and the Republican Party are equally evil, as they pursue an equally evil plan to bring the world into the Kingdom of Antichrist, also known as the "New World Order". Thus it follows that the men in top leadership of each party are equally evil. This article is a clarion call for Evangelical Christians to wake up to spiritual reality and to "vote their conscience" when they enter the voting booth! Rich were the blessings of this day if all of us were filled with the Holy Ghost. The consequences of this sacred filling of the soul it would be impossible to overestimate. Life, comfort, light, purity, power, peace; and many other precious blessings are inseparable from the Spirit's benign presence. As sacred oil, He anoints the head of the believer, sets him apart to the priesthood of saints, and gives him grace to execute his office aright. As the only truly purifying water He cleanses us from the power of sin and sanctifies us unto holiness, working in us to will and to do of the Lord's good pleasure. As the light, He manifested to us at first our lost estate, and now He reveals the Lord Jesus to us and in us, and guides us in the way of righteousness. Enlightened by His pure celestial ray, we are no more darkness but light in the Lord. As fire, He both purges us from dross, and sets our consecrated nature on a blaze. 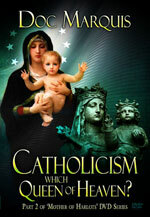 He is the sacrificial flame by which we are enabled to offer our whole souls as a living sacrifice unto God. As heavenly dew, He removes our barrenness and fertilizes our lives. 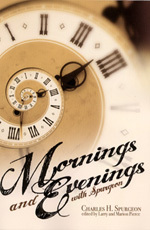 O that He would drop from above upon us at this early hour! Such morning dew would be a sweet commencement for the day. As the dove, with wings of peaceful love He broods over His Church and over the souls of believers, and as a Comforter He dispels the cares and doubts which mar the peace of His beloved. He descends upon the chosen as upon the Lord in Jordan, and bears witness to their sonship by working in them a filial spirit by which they cry Abba, Father. As the wind, He brings the breath of life to men; blowing where He listeth He performs the quickening operations by which the spiritual creation is animated and sustained. Would to God, that we might feel His presence this day and every day. 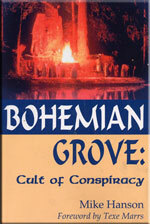 Bohemian Grove: Cult of Conspiracy"
"Muddy Waters: The Shaman-based Mother Earth Religion of Native American Indians Exposed"
"Armageddon, The Hiding Place and the Mount of Olives Mystery"
"Supermen of the New World Order"
"Making Merchandise of Men's Souls"